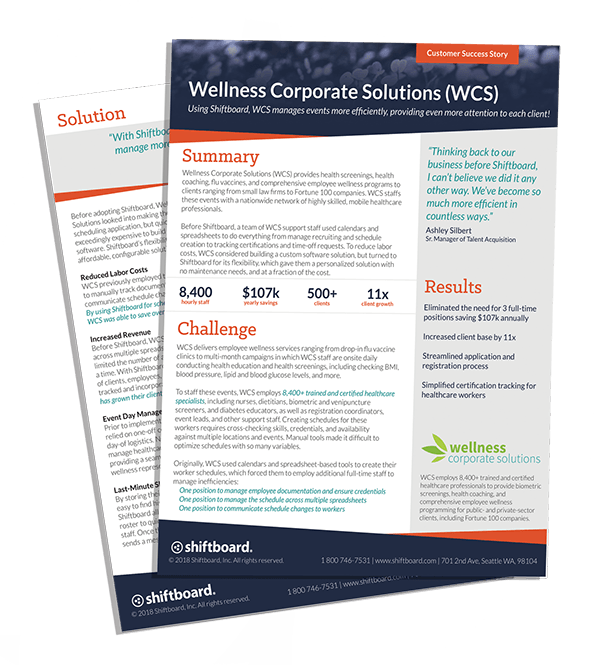 Wellness Corporate Solutions (WCS) provides health screenings, health coaching, flu vaccines, and comprehensive employee wellness programs to clients ranging from small law firms to Fortune 100 companies. WCS staffs these events with a nationwide network of highly skilled, mobile healthcare professionals. After switching to Shiftboard, WCS has been able to manage events more efficiently and provide even more attention to each client.